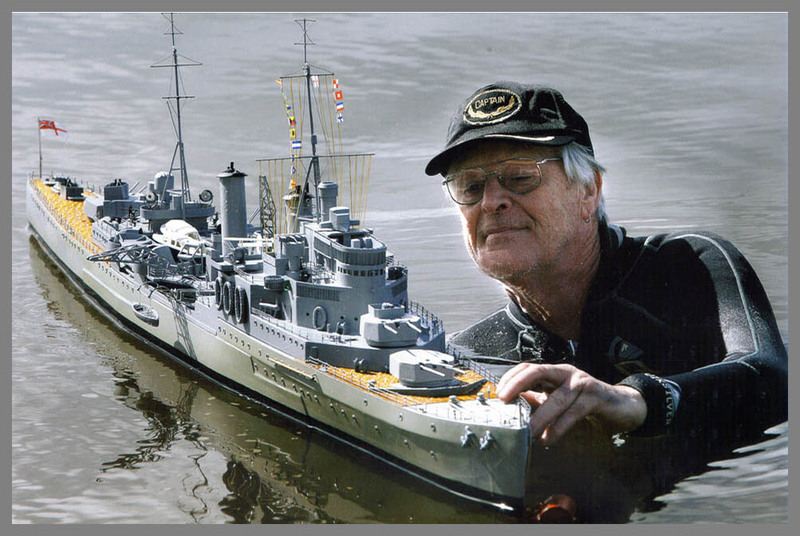 Here is the construction of my first major scale model warship, The HMS Manchester, built in 1937, she was attacked by two Italian E Boats on May 13 1942 off Libya during "Operation Pedestal" a convoy taking essential supplies to the island of Malta, she was severely damaged, with the loss of many crew, which resulted in her scuttling by her Commander to prevent the new radar system falling into the hands of the enemy, an action for which he was court martialled. 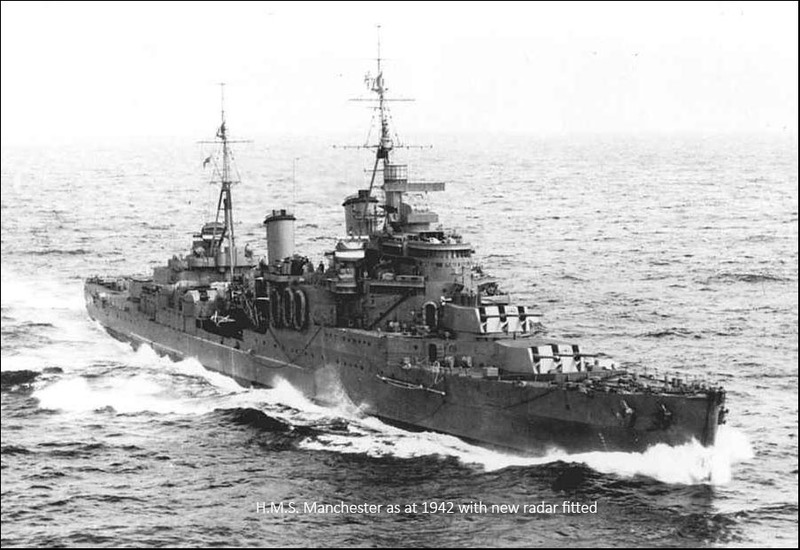 In later years it was shown by subsequent dives on the wreck his actions were justified, but the Royal Navy Admiralty never cleared him of wrong doing and he died a very embittered man. 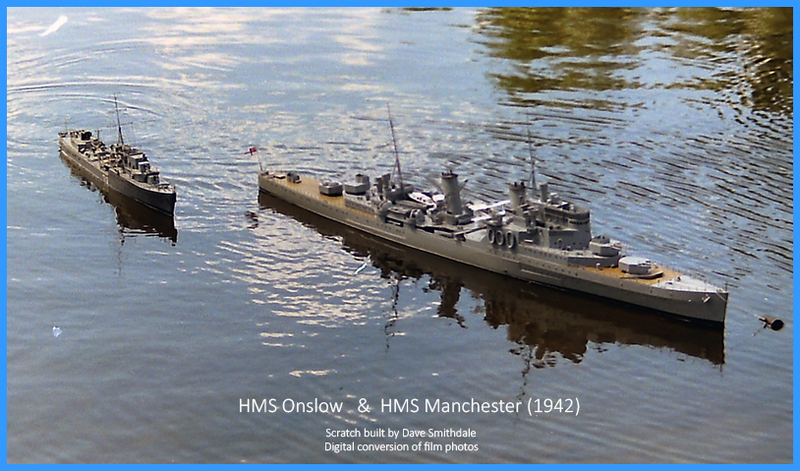 This model which is "scratch built" (all parts made by hand), was constructed of mostly modelling 3 ply up 1mm thick, the gun barrels from aluminium stock and the masts and other fitting from brass rod and tubing. The guard rails were made from fine brass rod and copper hook-up wire and soldered in position, well over 300 solder joints involved. The motors are two 540s for the inner props and two 380s for the outer props and controlled by home designed and built servo speed controllers using the old ZN409 PWM IC (No longer available - see below) The project took over 3 years to complete, the model is over 6ft long and with the sealed lead acid batteries, weighs in at around 15 Kg. The model is finished in RN Med Grey which I mixed in acrylic paint. The inside of the hull was also given a fibreglass resin wash to strengthen and seal the hull. This model was also used a few years ago by a German Dive team for familiarisation purposes, who dived on the original wreck in the Mediteranean off the coast of Libya. I did a number of close up photos and a "night vision" movie showing the ship laying on its side as would have been seen by a diver. Late News. I have found a source of the ZN409 at UTSource.com a company in Hong Kong who have a huge stock of these ZN409 chips at only around $7.50AU ea postage $4 for only 1 or as many as you want. !